The perfect sampler for you to work if this is your first attempt and counted embroidery. 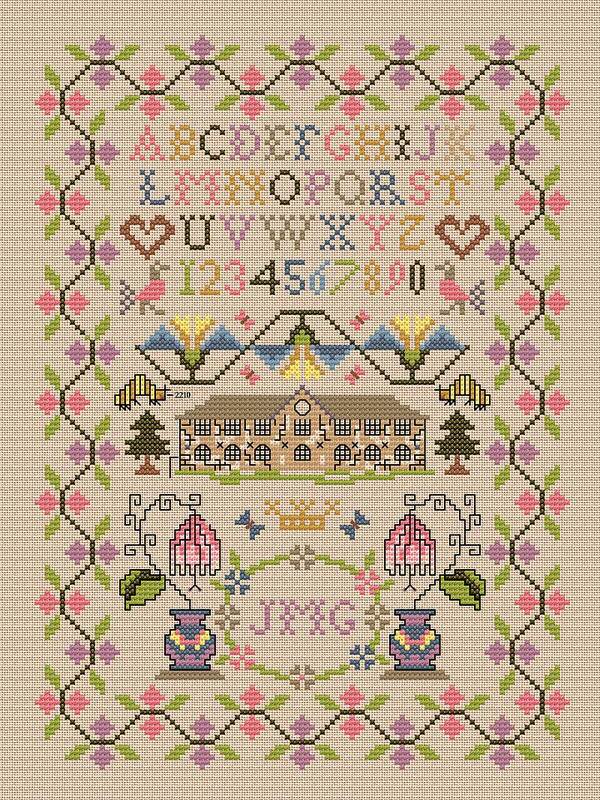 A traditional little house sampler stitched in pure cross stitch with a little backstitch outline. It could be worked on linen or Aida.